Donald Glover never got his chance to audition for The Amazing Spider-Man several years ago. However, this didn’t close the book on his flirtations with the Spider-Verse. The “donald4spiderman” hashtag that went viral in mid-2010 partially inspired Brian Michael Bendis and Sara Pichelli to create Miles Morales, the first black character to adopt the wallcrawler’s mantle. Beyond serving as the character’s muse, Glover also lent his voice to the animated Miles on DisneyXD’s Ultimate Spider-Man cartoon. 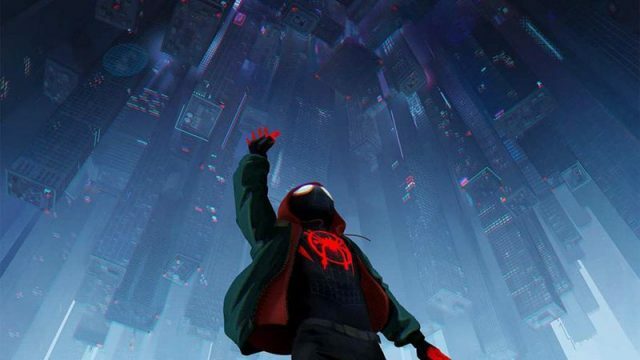 Of course, Miles is about to make his cinematic debut in next month’s Spider-Man: Into the Spider-Verse. With this, the film’s producers felt it was only logical to involve the actor/comedian/writer/rapper in some way. In an interview with Fandango, Phil Lord and Chris Miller were asked if Glover makes a quick appearance during a scene featuring Miles’ uncle, Aaron Davis. That would be fitting, since Glover played the live-action version of this character in Spider-Man: Homecoming. Though Miller initially expressed uncertainty over whether they were “legally allowed” to confirm this, Lord was more forthcoming. “We basically wanted to tip our hat to Community and the groundswell of support for the Spider-Man of color that came out of that, and we just thought it was a neat little nod,” Lord said. “That episode [of Community] was sort of the origin of where Miles came from,” Miller added. “It may or may not actually be in the movie. You have to watch to find out…” The episode they’re referring to is Community’s second season premiere. In its opening minutes, Glover was sporting Spider-Man pajamas in an obvious reference to the aforementioned social media campaign. Are you excited to see Stan Lee and Donald Glover’s cameo appearances in Spider-Man: Into the Spider-Verse? Let us know in the comment section below!